Erika Jaramillo may be a pint-sized player, but she knows how to pack a punch out on the field. Being undersized could be discouraging to some people. To Erika Jaramillo, a sophomore on the American River College women’s soccer team, it’s an advantage to be underestimated. 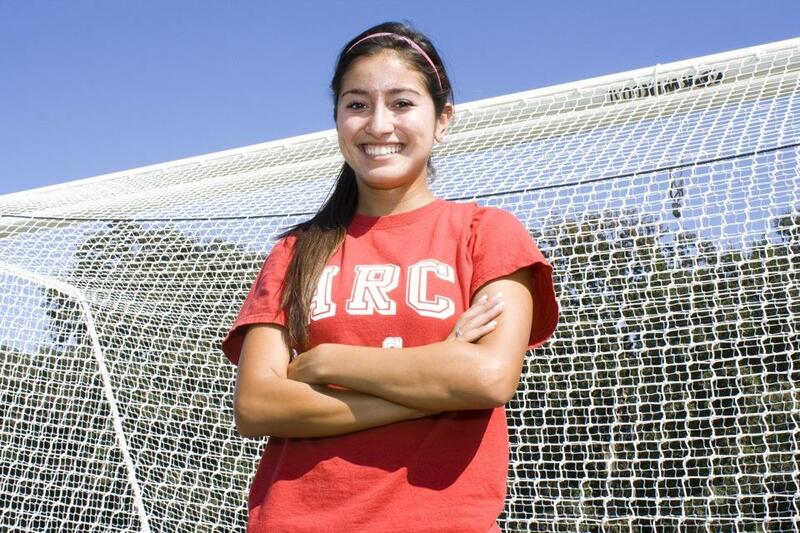 Born and raised in Elk Grove, Jaramillo started playing soccer when she was very young. “I’ve played since I was four years old,” she said. A standout player for her West Campus High School, Jaramillo made the All-Conference team all four years of high school. After making it all the way to the quarterfinals a year ago, Jaramillo feels like they have some unfinished business. “Losing in the quarters last year gave us a reality check. It showed us a different perspective and all the returners saw that we had work to do to get further,” she said. She considers all the coaches she has had as influences in her game. “The club coaches taught me a lot about defending while our coach here, Paul, has taught me about attacking.” Jaramillo hopes to get a scholarship to a good division-two school next year. Soccer isn’t as punishing a sport on your body as football or baseball, but it is no less demanding. In soccer there is so much full sprinting to get the ball, make a pass, or attack, that it really demands an extreme amount of aerobic exercise. A good soccer player really does need to be very well conditioned and have great cardio to excel in the sport. 1 Comment on "ARC women’s soccer’s secret weapon"
*Jaramillo* is the correct spelling of her last name.